Screenworks member Susie Forster tells us about her experiences in running a crowdfunding campaign. Brendan and I are just over 2 weeks into our crowdfunding campaign for our documentary The Bentley Effect. We started with a burst having raised more than $20k and now we are working hard to ratchet it up to reach our target of $87k. All donations that are made to our campaign go straight to our project, so we know we’re going to start cutting, and with the support shown so far its obvious that we have a film with an audience. The comments made on the project page sustain us when the going gets tough! 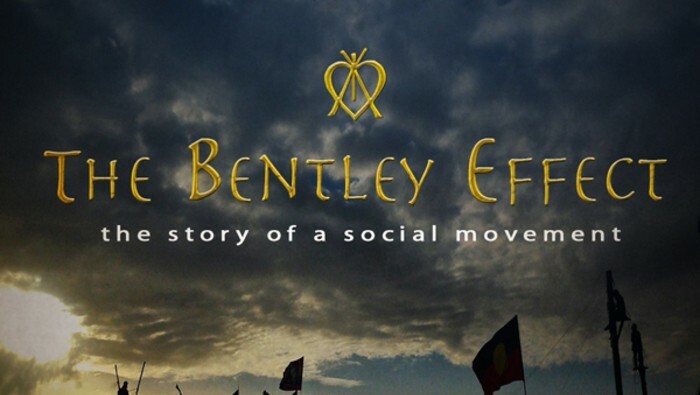 The Bentley Effect is an extraordinary story about a community that defies the unconventional gas juggernaut in Australia. In early 2014 the world watched as a monumental social movement built in the Northern Rivers of NSW bringing a community together in the path of a gas rig, to block entry farmland. This organised, non-violent resistance began as a trickle of environmentalists and local farmers, and grew to a torrent of concerned citizens from all walks of life – business people, grandmothers, teachers, musicians, nurses and local indigenous mob. From out of this cow paddock rose a self-governing tent city – complete with meeting halls, kitchens, cafes, toilets, and nurseries. After three months, as a result of the community’s actions, the government suspended the gas company’s license. This film is one that seems tailor-made for crowdfunding. All across Australia there are people who are passionate and committed to protecting our country from unconventional gas mining. We are in the phase of our crowdfunding campaign where we have gone beyond the community that was involved in this local movement, to attracting a national and international audience who are interested in the power of social movement and the preservation of our environment. We’ve also had to adjust our campaign to get to those who are not on social media (farmers and grandmas). It’s been quite phenomenal to see the donations come in, to see just how much people want this film to be made. It’s kind of humbling to receive money from people I don’t even know. The motivation is there now to get into the edit suite, but for the time being it’s still all systems go to try to maximise the support we need to get. A little bit about how we started- we set the launch date for our crowdfunding campaign for The Bentley Effect only about 3 weeks out from Day 1. Even though we’d been planning for a few months, it was unrealistic to think that we would have everything ready, but something seemed right about it when Mark White (Producer on the Eco Warriors) told us June was the best month for donations. We chose PlanetFunder as the platform for the campaign because it is so aligned with the values of our film, and they offered tax-deductible status to the donations. Mark is a local producer and manages the site. He was available to advise us on how the platform could work for us and update the page for us. We also are lucky enough to be hosted on the site for no fee. Because so many people were already primed about the film being in pre-production, knowing Brendan had been looking for ways to fund it, we agreed that three weeks would have to do to run a pre-launch campaign. Then the Knitting Nannas came on board to organise the launch, having already roughly planned their own fundraising evening for around that date. We were very grateful and the synchronicity was reassuring. Thank-you Screenworks for all your support- we really are so lucky to have you. Brendan and I are both very grateful to each and every friend, family member and community member who has donated to this campaign. We hope the film will be both inspiring and educational. And also, above all, entertaining. Click here to donate, and check out our website here. And please like and share us on Facebook here.